All dogs can benefit from clicker training, regardless of the breed. The fact of the matter is that dogs need a duty, and they need to understand who is in control. 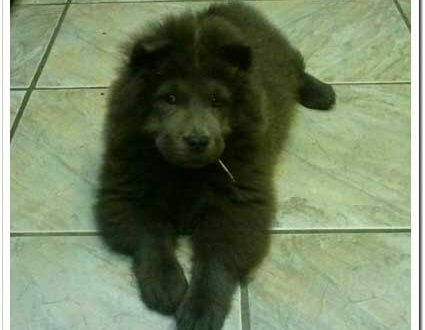 If you begin at a young age, you can teach your Chow respect very easy; clicker training is just another tool to make the process easier – at every age. The following information will explain how to clicker train a dog. To begin clicker training, you should go to a local pet store and purchase multiple dog clickers. The best idea is to buy one for the kitchen, living room, bathroom, bedroom, car, garage and so on. If you do this, you will guarantee always having a clicker at your disposal. Clickers do not cost a lot, so buying a bunch should not pose a large problem. The main premise behind clicker training is that a click equals a treat – your dog needs to learn this first. To begin, spend somewhere between five and ten minutes just clicking and rewarding. Each click needs to represent a treat, so make sure you give the dog one before clicking again. After your dog has grasped the clicking and treating step, you will want to begin by teaching your dog a new trick with the clicker. After you think your dog has grasped the concept, sit back and ignore Fido for awhile. If you give it a few minutes, the dog will stop looking for more treats and go sit down somewhere. As soon as this happens, you should click the clicker and give the dog a treat for coming. Keep in mind the dog may be a little confused at first, but he or she will be really happy to get treats either way. After you have mastered the previous step by going through the routine several times you can move on. By this step, your dog should associate the clicker with a treat very well. 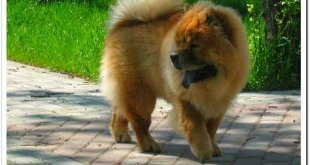 Your main goal is to make the dog anticipate seeing the clicker, so if your Chow associates the clicker with treats, he or she will be more than happy to listen to you. Speak the behaviors aloud to your dog. Clicker training gets a bit more difficult during this step. Up until now your dog has simply had to hear a click to get a treat. However, now the clicking and treating will be mixed with verbal commands. What this means is that from now on, your dog will only get a treat after hearing the click and completing the command of your choice. Finally, you will eliminate both the clicker and the reward from the training. After your dog begins to understand and perform every one of your verbal commands, you should begin to phase out the clicker. Once the clicker is completely out of the picture, you will need to begin replacing treats with petting and verbal praise. In the end, clicker training can take some patience, but it is highly effective and recommended by many experts. Just remember that learning how to clicker train a dog is the hardest part!